Many of you are looking for ways to escape this heat. 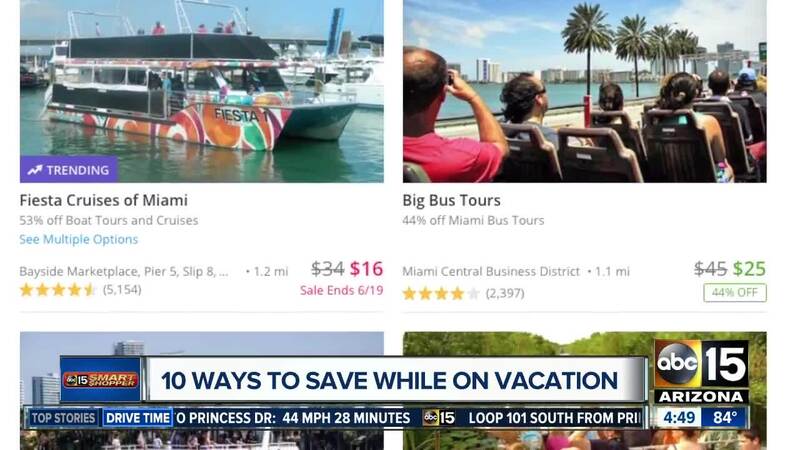 If you watch our Smart Shopper, you already know how to get a cheap vacation. First, lunch is typically cheaper, so eat more at lunch than dinner. Check out restaurants.com for deals and coupons in the area you will be staying. Buy discounted gift cards on sites like giftcards.com or raise.com . 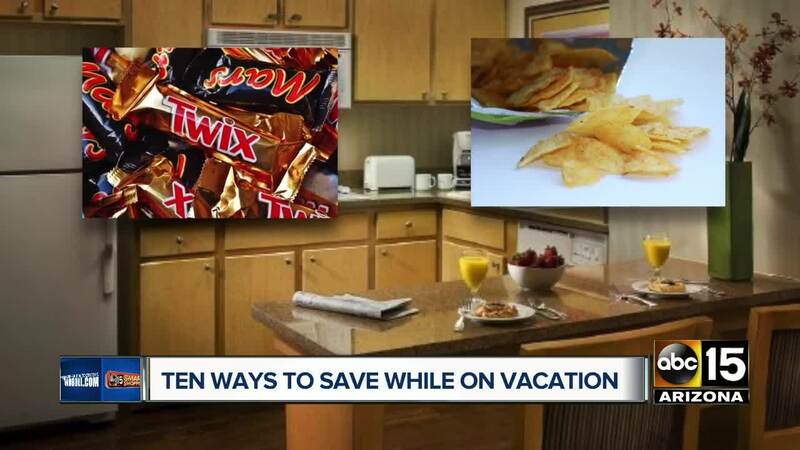 Hotels with kitchens can save you big by not eating out three times per day. Save even more by taking snacks, refillable bottles, and jugs of water. One of our producers takes instant oatmeal packages -- because you can use hot water from the in-room coffee maker to make it. Start searching daily deal sites in your vacation area at least a month before your trip. You can save on everything from dining out to the spa and other activities. Thinking of renting a car? First, check for promo codes at sites like retailmenot.com . It's usually cheaper to drop off and pick up at the same location, and away from the airport. Finally, check your car insurance policy before paying for rental coverage.